Any fighting sport has inherent health dangers later in life that require careful management, as outlined in a study by the Luo Reva Center in Las Vegas, which found that more MMA bouts increases brain injury risk. With a lot of focus going towards neurological health and that of your joints and muscles, it can be easy to overlook other areas. One such example is your teeth, which can suffer from the blows to the head; just look at Roy Nelson and Randy Couture’s lost teeth for that, though mouthguards do a lot of work. Every MMA fighter worth his salt gets in shape before a bout. That’s an absolute given. But many won’t consider the condition of their teeth, and getting them into long-term good shape – but there’s a multitude of reasons to do so. Taking blows to the face, either from head, leg or hand, bring with them the risk of traumatic injuries. Rory MacDonald, the Red King, found infamy for his facial injuries (alongside his top ring record), putting in clear focus the risks associated with MMA. The risk is so high that a study by the Journal of Emergencies, Trauma and Shock of 120 fighters found that 79% of fighters had a traumatic injury to their face. What’s more, kickboxing sports had the highest rate of injury. Aside from the pain of a facial injury, there are other complications that can arise, requiring comprehensive and long term dental cover. 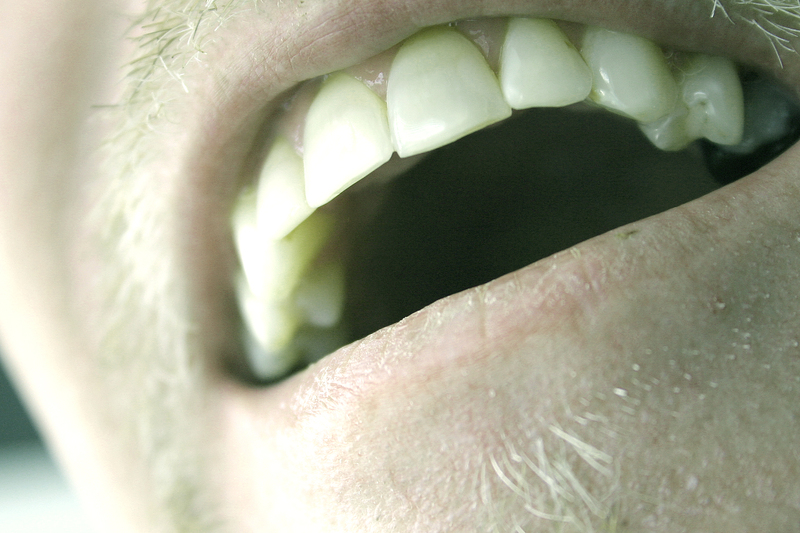 For example, malocclusion of teeth leaves cavities in which bacteria will thrive, according to the same study. Away from the ring, it is equally crucial to take care of your teeth. As outlined by the federal agency MedlinePlus, poor dental hygiene can cause heart trouble, which is a big concern for a high impact sport like MMA. Infection can be caused by teeth problems, too, which can have a long-term effect on your body – especially in the case of serious infections that require hospitalization. Where, like Cub Swanson, you’ve suffered serious jaw and tooth fractures, it’s essential that you keep your teeth clean to stave off infection. Looking after your teeth is no more complicated than what you will have learned in your childhood. Working with your dentist, establish the correct bristle hardness in your brush and the grade of floss. Use a fluoride-enhanced toothpaste to strengthen the enamel of your teeth. Eat a healthy diet, and minimize the acidic elements you expose your teeth to; the likes of coffee and sugary soda will cause weathering, so rinse your mouth regularly if required. Finally, keep on top of appointments with your dentist, and especially after bouts to check for injury or misalignment. Your teeth are a crucial element of your overall health, but one that is often ignored. Put full attention into your oral health, like you would any other area of your body. Your health, and your performance, will thank you.